You feel like a princess with you puffy dress on and shiny tiara resting atop your fancy hairdo, but have you taken the time to consider if your hands feel like the hands of a princess? Why have them feeling left out from the royal treatment? 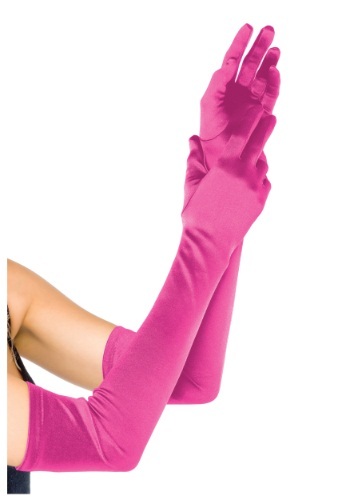 Especially, when there are these elegant fuchsia gloves that will have your hands ready for any royal activities you have planned for the day? After all, your hands do plenty of things for a girl! You have to wave to all of the kingdom's subjects, royal petitions may pop up that you'll have to sign and god forbid a prince should happen to show up to your kingdom looking to ask for your hand in marriage. He may rethink his proposal if he sees your hands looking nothing like royalty. So make sure to grab a pair of these Extra Long Satin Fuchsia Gloves to ensure you can complete all your duties as a princess, and so your Prince Charming doesn't second guess his marriage proposal.